This is a 10 mile, 5k and 13.1 mile trail run honoring our post-9/11 servicewomen especially those who died in support of combat operations. Returning this year: the 13.1 Be Strong Challenge. Run both the 5k and 10 miler course. 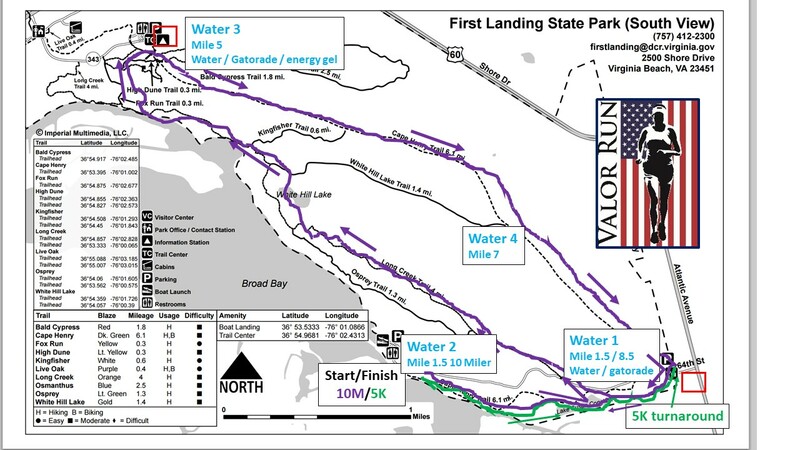 The 10 miler is a loop with few miles of technical trails. The 5k is an out-and-back on fairly easy trails. 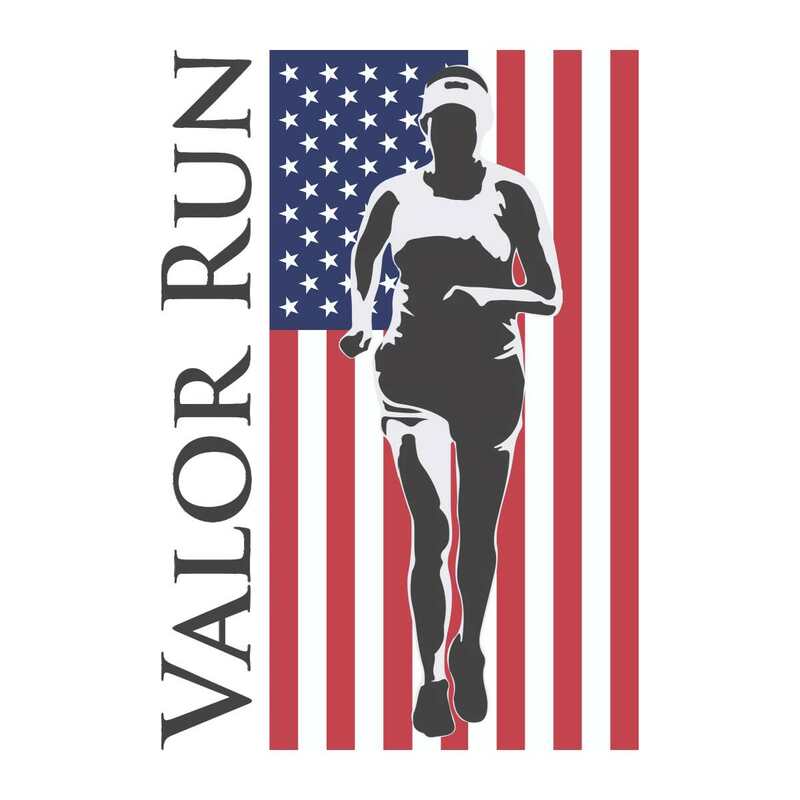 Enjoy the Mile of Valor on the 10 miler course and help remember the 161 women who died supporting combat operations since 9/11. There is a 2.5 hour limit on the 10 miler. Registration: fee includes race entry, parking fee, race T-Shirt, medal, photos, post-race party, on-course hydration. Friday 5/17/19: Wasserhund Brewery, 1805 Laskin Rd, Suite 102, Virginia Beach, VA 5pm-9pm. Saturday 5/18/19 will be at Fleet Feet 11am-2pm 4001 Virginia Beach Blvd Virginia Beach, VA. Virtual race fee: includes race T-shirt, medal and shipping. All packages will be shipped out after May 20, 2019. Virtual: 5k $45.00, Virtual 10 Miler $55.00, Virtual 13.1 Challenge $80.00. Must be registered by March 10 to be guaranteed a medal. All medals and race t-shirts for Virtual Races will be mailed after 5/19/19. Time and location: Start and finish at the Narrows in First Landing. Parking fees included in all race entries. Passes will be given at packet pickup. Awards: Top two male and female runners overall including the top 2 male and female challenge runners as well as to the top two male and female finishers in each of the following age brackets for the 10 miler and the 5K: 19&U, 20-29, 30-39, 40-49, 50-59, 60&O. Transfers may be done for an additional fee of $10.00 through the active system until 5/11 5pm.